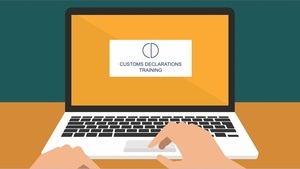 With the £8 million government funding scheme made available for all customs intermediaries and traders completing customs declarations and the aim of the grants to support training and the upgrade of IT systems, the grant includes HMRC providing an investment of £3 million to fund increasing training capacity. This new course, is aimed at those who want to gain a better understanding of Customs regimes and how to complete a Customs declaration. Based around 11 modules, this purely digital course can be done around your work commitments and in total should take around five hours to complete.